If you live in Scotland and want to add a conservatory or extension to your home but don’t know where to begin, then read on – we have lots of useful advice and information to help guide you through the process of choosing the right conservatory or extension for you and your home. There are lots of reasons why you may have decided to transform your living space by adding a conservatory or extension to your home in Scotland – maybe you’d like to spend more time living on the back of your home and enjoying the views of the Scottish countryside, you may need somewhere for the children to play in safety or a haven for the adults to escape the children and watch TV in peace! Many people in Scotland are adding conservatories and extensions to their homes so that they can be a part of the trend for open plan living - allowing you to live, eat and socialise all in the same open plan space. Whatever your reasons, there is a conservatory or extension that will perfectly complement your home in Scotland and by reading this handy guide will give you all the information that you need to make those all important decisions about size, shape, style and colour. Ultraframe can also assist you in finding the best conservatory or extension installation companies in Scotland for your complete peace of mind. Replacement conservatory roofs in Scotland? Many people who already have conservatories on their home in Scotland now want to replace and upgrade their conservatory with a replacement conservatory roof. If you already have a conservatory on your home and are looking for advice and inspiration about replacing the roof with something more thermally efficient that is better suited to the climate of Scotland then we can help with all the help, advice and products that you will need. Ultraframe is renowned for its range of conservatory roofing systems but we also have a range of replacement conservatory roof systems which are perfect for transforming and old, tired and thermally inefficient conservatory into a warm room that you will able to use all year round, regardless of what the weather in Scotland is like. Hot, sunny days can be something of a rarity in Scotland but on the lucky days when the Scottish sun is shining, an old and dated conservatory may be too warm for you to comfortably use – and of course, Scottish winter days may render it too cold to for you to comfortably spend any time in due to the low temperatures and large amounts of snow. Ultraframe replacement conservatory roofs are available in a choice of different exterior finishes so you can choose a replacement conservatory roof that perfectly complements your home in Scotland. Choose from the sleek modern look of our grey Livinroof replacement conservatory roof or go for the stunning Ultraroof tiled roof system which is available in a range of tile colours. The Ultraroof is fully LABSS approved so you can be sure it will pass Scottish Building Regulations. Both replacement conservatory roof systems available in Scotland offer a beautiful plastered ceiling that makes your new conservatory feel comfortable to use, whatever the weather. Conservatory or extension for homes in Scotland? You may think you already know what defines a conservatory or an extension but to see the official definitions, click here. This may help you to decide whether to add a conservatory or an extension to your home in Scotland. A conservatory has a larger amount of glazing than an extension. An extension may also be more thermally efficient and more suited to being used all year round – something that is worth considering for the often-cool climate of Scotland, particularly if you’re in the Scottish Highlands. Once you’ve done your research and decided between adding a conservatory or an extension to your home in Scotland, the next step is to choose what style. There are a huge range of conservatory styles to choose from and one key consideration to bear in mind is the shape of the floor space. If you choose a Victorian or p-shaped conservatory, then the floor space will feature a curved faceted area. If you go for Edwardian/Georgian or a lean-to conservatory, then your floor space will be angular in either a square or rectangular shape which can often allow for a better use of the space as furniture also tends to be largely angular. Your conservatory may already exist and you are simply looking to replace the roof to make it more suited to the climate in Scotland or give it a new lease of life and make it feel more like a room. If this is the case, you simply need to choose which of the Ultraframe solid replacement conservatory roofing systems is best for your home in Scotland. We have several different replacement conservatory roofing systems for you to choose from. Click here. Here's some ideas for the types of conservatories you can have in Scotland. 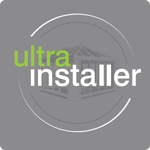 If you’re looking for a reputable, reliable installer to help out with installing your new conservatory, replacement conservatory roof or extension project in Scotland, then Ultraframe can help - look no further than our Ultra Installers. Choosing an Ultraframe Ultra Installer offers you complete peace of mind that you are choosing an installation company who knows everything there is to know about adding a conservatory or extension to your home and has many years of experience. What could be more reassuring than that? Your local Ultra Installer in Scotland will be able to advise you about the best style of conservatory or extension to complement your home and answer any questions that you may have about Planning Permission or Building Regulations that may apply to your conservatory, replacement conservatory roof or extension project. They are fully up to date with all the latest regulations that apply to this type of project in Scotland so you can work with them knowing that they will take care of anything concerning Planning Permission or Building Regulations for your conservatory or extension project. Looking for a reputable conservatory or extension installer in Scotland? Finding your local Ultra Installer in Scotland couldn’t be easier – take a look at our Ultra Installer search page and we can put you in touch with some of the most reputable and experienced conservatory and extension installers in Scotland. All of our Ultra Installers can also take care of replacing an existing conservatory roof with a new solid, tiled, replacement conservatory roof.